I love homeschooling middle school students. They are so ready to dive deep into learning because they finally have the basics of reading, writing and arithmetic down. On the other hand, they are still completely open to creative lessons. You can just do SO much with this age group! 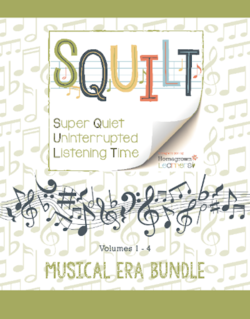 In our eclectically Charlotte Mason homeschool, I would say the middle school years tend to be our most eclectic compared to K-5 and even high school. I think it’s because I just enjoy mixing it up. 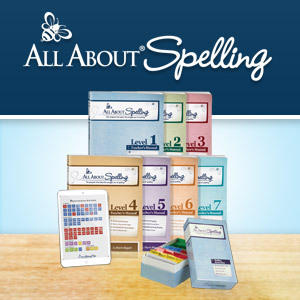 Partly for variety, partly because there are so many cool ways to learn, partly because I want to keep my kids on their toes in learning since I surely won’t be their one and only teacher in life, and partly because I want to begin gauging how they will best learn during the high school years. What, then, do our middle school years look like? No matter the style, you will always find us using lots of living literature. Always. Another consistent is our weekly nature study. It’s just too important to drop. Other than good books and nature study, you might find us deep in a unit study with project-based learning, working through a hands-on textbook, working through a traditional textbook, taking online classes, or taking real life classes outside of our home. 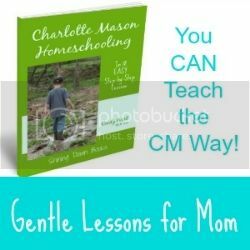 Even though many of those things don’t seem like they would jive with the Charlotte Mason style, we still maintain so many of the CM foundations that I don’t ever consider ourselves to be completely off track. For instance, we still stick to short lessons as much as possible. We also continue with weekly or bimonthly artist study, handicrafts and life skill training. And, we still work on living math activities at least once or twice per week, among other things. How do we fit it all in? Even in middle school, we typically follow a weekly schedule where our Friday’s (or another day of the week) are set aside for nature study, artist study, handicrafts and the like. It’s no fun for any of us to push hard day in and day out on the same things, so we take one day each week “off” from the unit study/textbook/etc. to do other subjects that are important to us. To help you get a better picture of middle school in our home, I’ve pulled together all my posts that were written when at least one of my children was in 6th, 7th or 8th grade. My Top Picks for Middle School Curriculum – While we’ve used oh, so many resources over the years, this is a list of my very favorites. 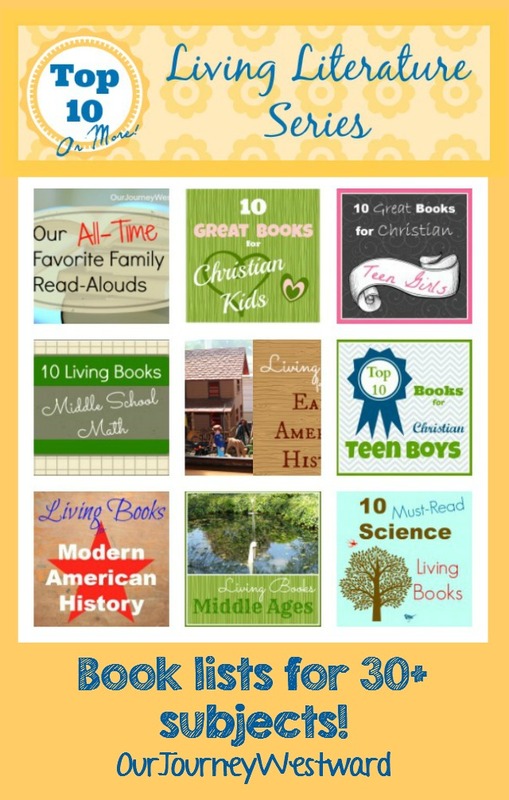 Living books rock. An incredible amount of learning happens in the pages of good books. Enough said. Living Literature For All Subjects – Not all of the lists on this page are specifically for middle school students, but many, many of them are. Enjoy! Middle school is the time I get serious about teaching formal writing. While we use some writing curricula, we also still have a lot of fun. 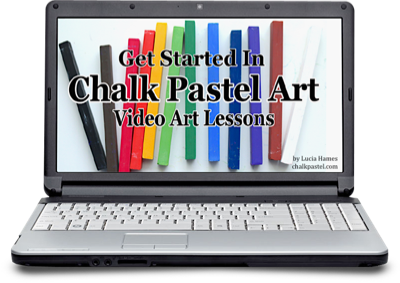 These easy lessons use picture books to train writing styles. Here are some creative writing assignment ideas. Unit studies allow us to get a lot of concentrated learning into a reasonable chunk of time. When we also incorporate project-based learning into the units, my children are allowed to dive into their own interests and capitalize on their learning strengths. These are super-important skills as I begin the process of turning the reigns of learning over to my children. Here are some of our unit studies which made the biggest impact in learning and enjoyment. Project-Based Learning: What You Need To Know – If you aren’t familiar with the concept of project-based learning, this post will quickly get you up to speed. 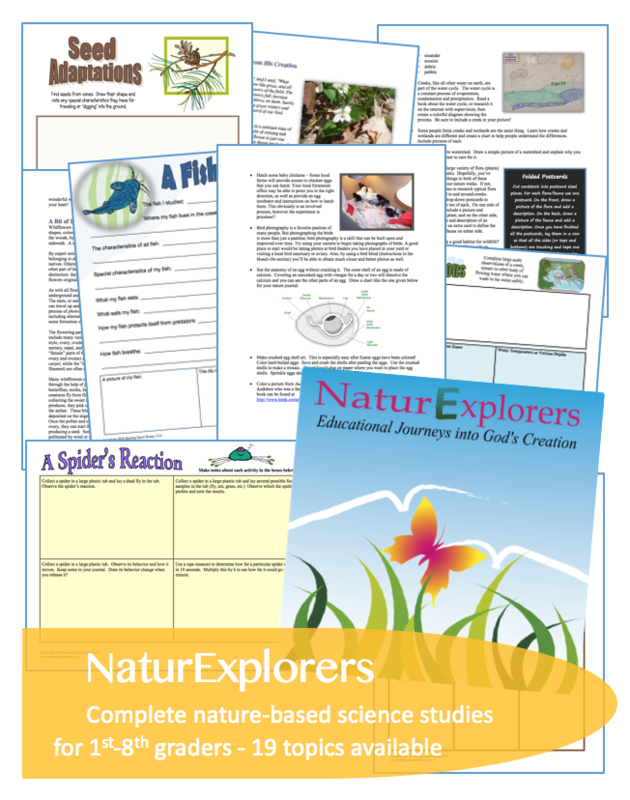 I wrote the NaturExplorers series to make real, deep nature study a no-brainer for you. I hope you find them helpful! 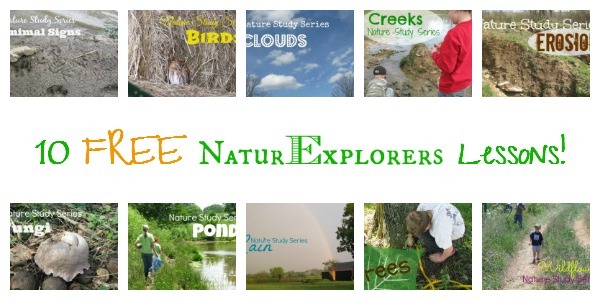 Below are some middle school specific posts about how I’ve used NaturExplorers activities in our own homeschool. 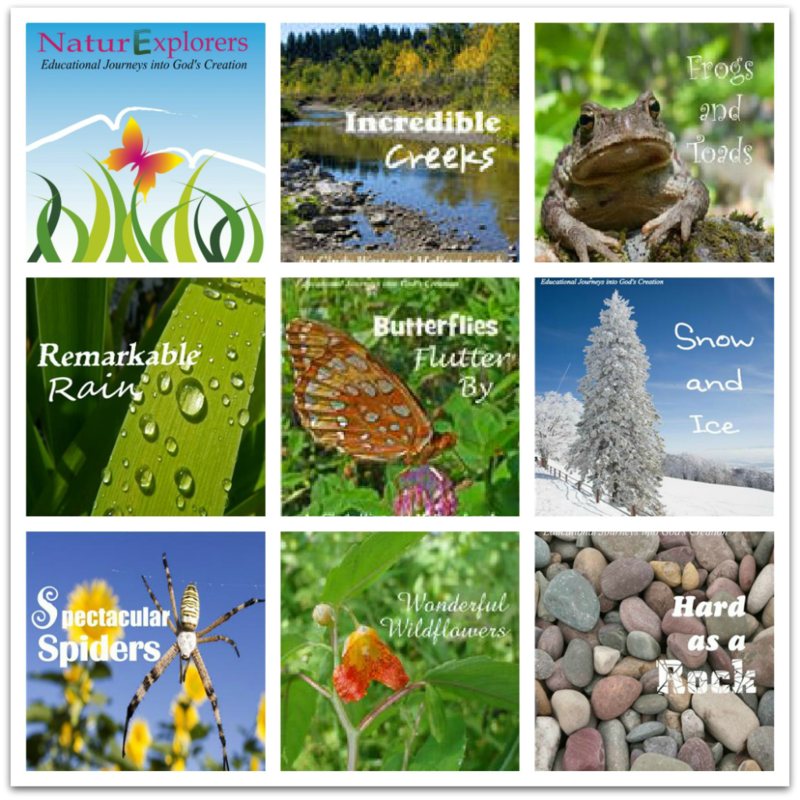 10 FREE NaturExplorers Lessons – Scroll down just a bit on this page to find links to TEN FREE NaturExplorers lessons! Living math is real. It’s meaningful. It has a purpose. It uses higher order thinking skills. It’s fun. While the math textbook is important in middle school, so are living math lessons. Here are a few examples of living math lessons perfect for the middle school years. 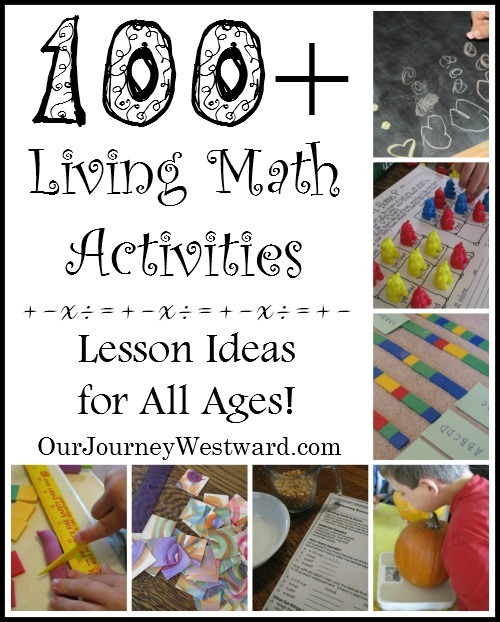 100+ Living Math Activities for All Ages – This is a mega-post of living math lessons from all over the web. 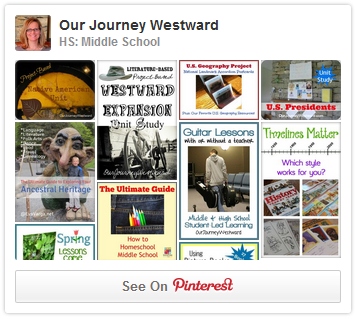 Scroll down a bit for the middle school specific learning activities. I lump logic in with living math on a normal basis because of all the problem solving skills it requires. However, to be sure you don’t miss them, I’m pulling out some of my favorite middle school appropriate logic activities here. Logic. is. very. important. Don’t skip it! My middle school children still like to have fun in school – and so do I. Here are several examples of our creative learning. 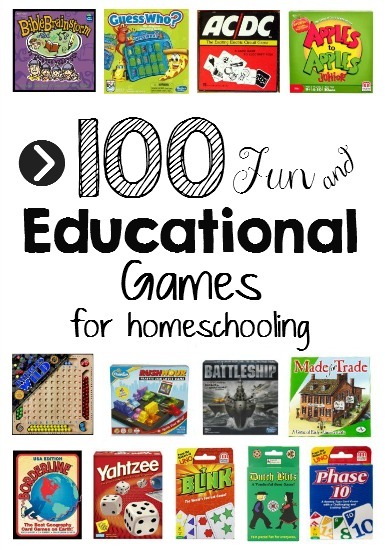 Games for Homeschooling – We love games. Seriously, we play them all the time. I never cease to be amazed at the amount of learning that happens during game time! Yes, we actually do use some traditional textbooks, hands-on textbooks, online classes and outside classes. Honestly, I don’t blog about those things very often because they don’t always make for interesting posts. Here are a few, though. 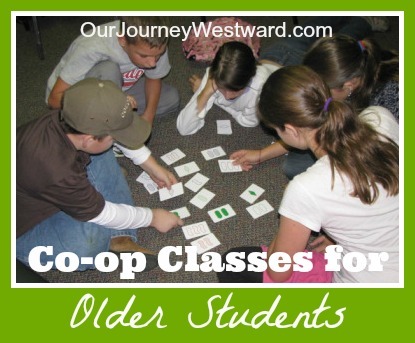 Co-op Class Ideas for Older Children – I find that supplemental co-op classes at this age really need to be worthwhile or you begin to lose families. This post shares some creative ideas. It’s important to learn how to serve others at any age. With each new year of age, though, we try to take service up a notch. Here are some of the ways we’ve found to serve our community. 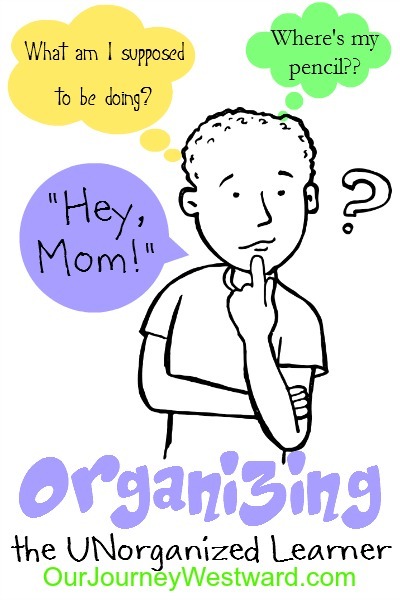 Organizing the Unorganized Learner – As you can imagine, this post has been one of my all-time most visited. 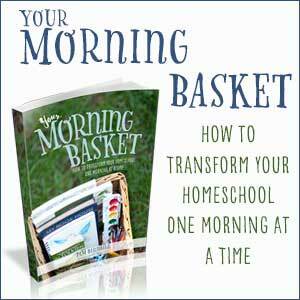 Organizing our children – their supplies, their lessons, etc. 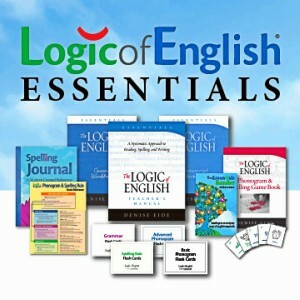 is a major step in helping them to acquire that independence in learning! 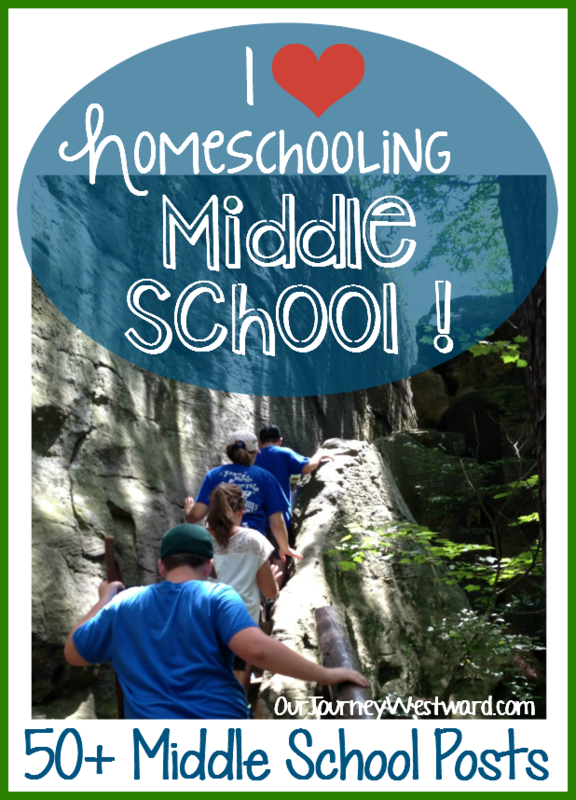 And so, that wraps up this mega-post about homeschooling middle school in the Our Journey Westward household. I’d love to hear your thoughts! Oh, one more thing. I may or may not always update this post with additional middle school related posts that I write. 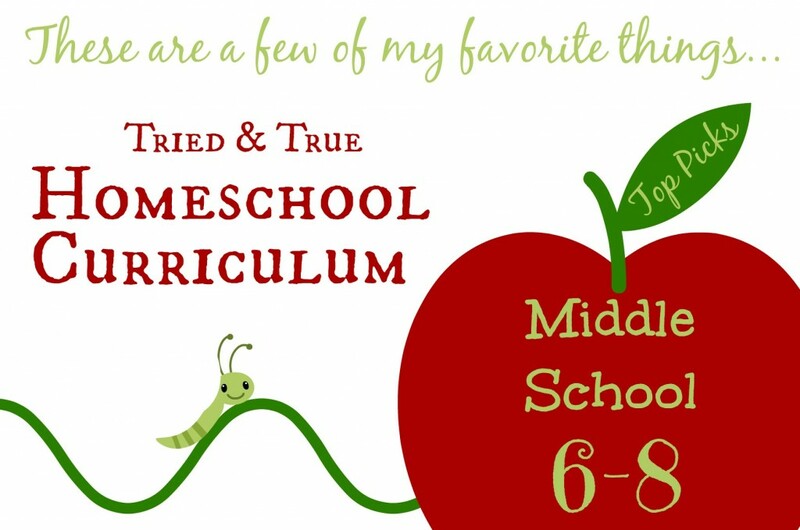 You will, however, find everything related to middle school homeschooling from my blog and others on my Homeschooling Middle School Pinterest Board! Be sure to click “follow” to keep up with the board.